This post originally appeared on DesigingLULA and has been cross posted here. As a creative freelancer, your website is your key marketing platform. It needs to be clear, intuitive and really speak to what you do. 1. URL. Make sure your URL is relevant to what you do, and make it simple and easy to remember. 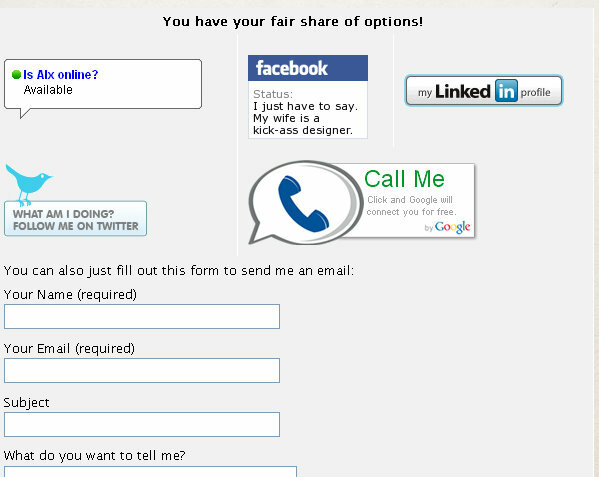 Your name alone is great—like alxblock.com or a mix of your name and trade like theluladesigns.com. Short and sweet is the key here. This is an easy thing to do with by implementing the <title>REPLACE THIS WITH YOUR NAME, TRADE, AND LOCATION</title> tags in your header. 3. KEYWORDS. This is about selling YOU. You need to make sure that not only is your online portfolio a good representation of your work, but that it is fully visible. Your portfolio should include keywords that will allow the almighty Google bots to find you. Use keywords in the header by implementing the <meta name=”keywords” content=”INSERT COMMA SEPERATED KEYWORDS HERE”/> tag on each portfolio page. 4. CONTENT. Google likes dynamic over static. Make sure your site is built in a way that allows you to update it often with new content quickly and easily. Having a blog on your site is ideal because you can post something new every day, making your site much more interesting and allowing you to come up in the search results more often. 5. BACKEND. 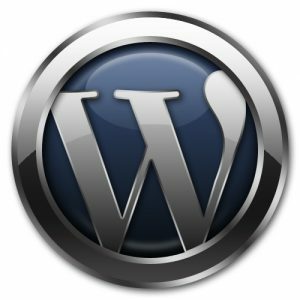 I’m a huge fan of WordPress and use it on almost every site that I build (even this site is built completely on WordPress—portfolio and all.) With all of the plug-ins being created by developers worldwide, it gives you the largest selection of cool things to add to your site. The best part is that you need little-to-no technical knowledge to use it. It’s simple and effective. Make sure that the CMS that your site is built on is something that you can manage. Make sure it achieves your goals. 6. USABILITY. What good is an online portfolio if you can’t navigate it? Make sure your links are set-up in a way that is clear and intuitive. You always want to give your visitors somewhere to go next. As soon as they reach a dead-end page on your site, they are out of there and onto the next. Be as clear and bold as possible with your navigation. 7. AESTHETICS. Dude. Make it pretty. You’re a creative and this is the impression you are going to make on people. Make sure your images are clear, your type is clean, and your grammar is correct. People will judge your work based on how your site looks, so be sure that it’s as awesome as your work is. 8. NICHE. It’s impossible to appeal to everyone. Think long and hard about the people that you really want to target. If it’s non-profits, then be sure to include examples of your work done for non-profits. If you’re after agencies, then be sure to include a well rounded array of collateral materials. Make your portfolio relevant to your audience. 10. BRAND. As a freelance creative, you are the visual expert. Your site must be clear, effective, have a streamlined look and feel all the way down to the language that is used in speaking to your audience. Make sure that your fonts appear the same way on each page, the colors all work together, your logo is clear and present everywhere that they look, the language is consistent and that it all represents what you do. I’m not trying to imply that these are the only things that make a successful site. Good traffic and a profitable return on your hard work can take some time. Be patient. Build that strong community by following these tips and the business will follow.